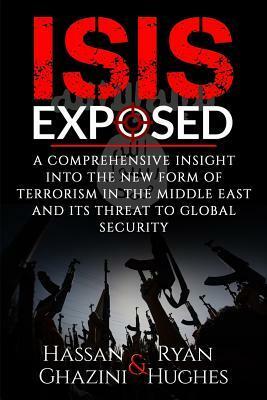 ISIS Exposed takes us through the formation of the terror group that wants to change the world. From their beginnings as an offshoot of Al-Qaeda, to one of the fastest growing operations in the world, ISIS Exposed leads us through their formation and their ideals. We will cover everything from how and why they were formed to the reasons why some people have flocked to themISIS Exposed takes us through the formation of the terror group that wants to change the world. From their beginnings as an offshoot of Al-Qaeda, to one of the fastest growing operations in the world, ISIS Exposed leads us through their formation and their ideals. We will cover everything from how and why they were formed to the reasons why some people have flocked to them, how they use the internet and social media to recruit and gain financing, all the way to the music they allow and the social programs they support. We'll also read some stories from those who have escaped ISIS and why they risked their lives to do it. ISIS Exposed tries to give us an explanation for something that baffles the Western mind and makes us wonder why and how this group has come to such prominence from such humble beginnings.